Why are you here? Have you ever asked yourself that question? I mean, God creates millions and millions of people, but what was the reason for creating you? I was talking with a friend yesterday who presented me with this question because of a message she heard at church. I’ve always been told that I was created with a purpose, and I’m sure you have as well, but what does that even mean? What it means is that there was a void somewhere on this earth, and the only person who could fill it was you. Think about that. God knew that there would be a void in a certain area, and he created YOU to fill it. WOW! There is a specific reason you’re here. Whether you’re struggling through tough times or enjoying where you are, understand that there is a reason God made you. Me . . . yes I know there are other writers, bloggers, speakers, teachers . . . but God knew that someone needed to be reached at a specific point in time, and he created me in my mother’s womb for the very purpose of being the person to reach him or her. You may never know the exact void that you are filling, but you have been given gifts that that will lead you right to it. I wonder if you walk through life striving to be the best you can be at whatever gift you have, will you know what that moment is—the moment for which you were created? I doubt you’ll ever know exactly what it is, but I will say that I look for it. I’m in search for that student who needs someone to care for them. I’m in search for that girl who feels worthless. I’m in search for the kid who is constantly being made fun of. I’m in search for the ones who don’t feel like they have anything to offer. You see, although I don’t know what moment I was created for, I do know that God created me with a heart that loves helping people know the truth about themselves. If I follow that desire he instilled within me, I’m certain to walk out my purpose. You, my friend, are one of those people I’m seeking out. I may not have ever met you, but I care for you deeply. You are worth far more than rubies. You are worth the perfect life that Jesus lived on earth. He died just so he could spend forever with you because you . . . are. . . completely. . . worth it! And, sweet daughter of Christ, you have so much to offer. How do I know that? Because God says so. These are just a few scriptures that say you do have something to offer. 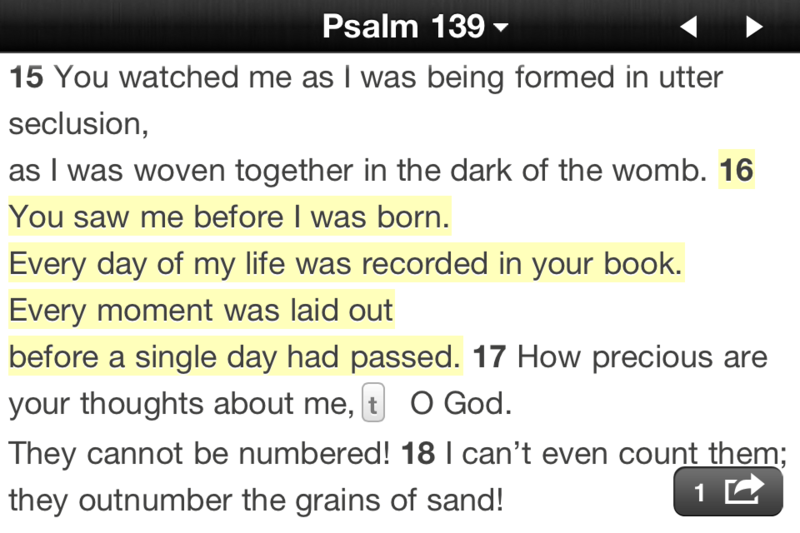 God created you because he knew you would fulfill a purpose that no other person could fulfill. How cool is that? You are so incredibly important that God had to create you in order to fill a void that he knew would be missing. Maybe you’ll find the cure for cancer. Maybe you’ll change someone’s life. Maybe you’ll stop to help someone pick up their books, and your purpose will begin to unfold. Never take for granted your life and reason for being here. Take advantage of every minute God has given you because one of those minutes will involve the purpose you were created to fulfill.